How to get more out of your marketing budget? Competition is tighter, sales are down, margins are shrinking. Does this sound familiar? How do marketing leaders get more out of their marketing budgets? 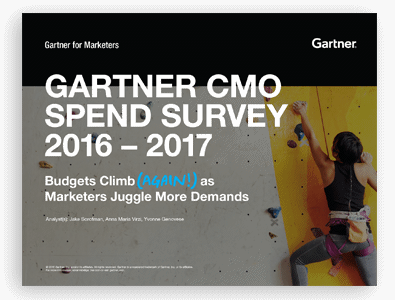 In this brief post I will to share a summary of Gartner's latest trends for the marketing spending.